The Civic Tech Innovation Database is a living collection of civic tech initiatives in South Africa. 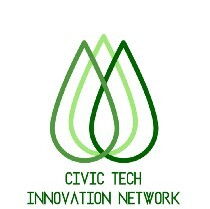 It is managed by JamLab for the Civic Tech Innovation Network. You can search the database by the name of the project, by the type of platform, by organisation or by keywords. For each initiative we have identified we have included as much information about the platform, its creators and partners as we can. We have also included contact information wherever possible. If you are planning a new civic tech initiative we strongly advise that you use the database to see if anyone has tried to do something similar. It might help you to see what they have done. You may also want to contact them to learn more about how they did it and what challenges they faced. If you are interested in understanding what is going on in the civic tech and civic innovation field in South Africa, who is involved, what they are doing and what successes and challenges they are facing we hope this will be a useful resource. If you are looking for partners and collaborators we also hope that you will search the database. Each entry includes the date when the entry was last updated. We aim to update the database at least quarterly. Click on the organisation name to read a full profile. What if I can’t find a project on the database? If you know of a project or initiative that is not on the database please contact civictech@journalism.co.za with as much information as possible including contact details. We want to make the database as comprehensive as possible but we need the community’s help to do so.